We get a weekly magazine with some terrific recipes in it. 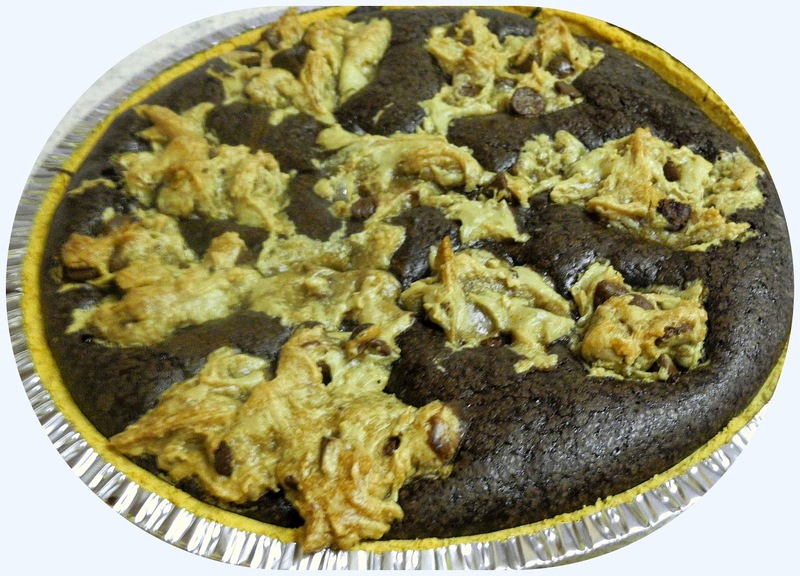 I fell for this fudge pie and even though mine does not look as good as the picture, it tastes as it good as I thought it would be. The magazine is Whisk, the food segment of Ami magazine. Using electric mixer, beat oil and sugars, add vanilla, milk and flour until smooth. Add chocolate chips and stir. Set aside (can use same bowl for fudge layer - no need to wash it first). Prepare fudge layer in the same bowl, beating oil and sugar. Add vanilla, baking powder and eggs until smooth. Turn mixer to low and add flour & cocoa powder until combined. Pour fudge layer into crust. Place small pieces of cookie dough on top of fudge and push into the fudge to partially bury it. Distribute cookie dough evenly over fudge.